Take the Mercer Street exit. At the bottom of the ramp, turn right onto Fairview and then immediately left at the next light. Stay on Broad, in the left lane (about a half a mile) and turn left on Taylor (at the beginning of the left turn lane just before the light). The Executive Inn is on the left. Follow I-90 westbound to North I-5 exit. Stay in the far left hand lane and follow to Mercer Street exit. Then follow directions above. NOTE: There is another Best Western Inn in that same area so be sure you get the Executive Inn. It is just a street over from the Space Needle. Make them in advance in accordance with the program information. If you make a reservation and do not attend or do not cancel, you may be responsible for paying for your breakfast. Executive Inn by the Space Needle is again offering us free parking in the garage under the hotel. Members who park in the Executive Inn by the Space Needle garage or lot can sign the book at the front desk and give their name and license plate number. The entrance to the garage is off the alley; if the garage fence-type door is closed, follow the instructions on the control box on the left, pushing the # key to reach the receptionist (it may be a wait if desk is busy). There are also some pay parking lots nearby. We encourage everyone to carpool! 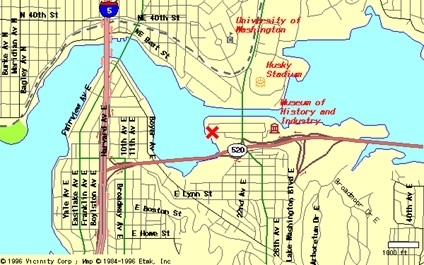 Seattle Yacht Club main station is located on Portage Bay at 1807 East Hamlin Street, Seattle WA, 98112, just north of the 520 bridge across Lake Washington and south of the University of Washington. Guests arriving via Highway 520 (either East or West bound), exit at Montlake Blvd and head north. Turn left on East Hamlin at the traffic light which is the first left past 520. For those exiting from 520 westbound, make an immediate left off Montlake to East Hamlin; if you cross the Montlake Bridge you’ve gone too far. The club is in a residential neighborhood, on the left about a block from the light. From south and central Seattle, take I-5 north to Exit 175 towards WA-523. Turn right on NE 145th St. After 1.4 miles turn left on Bothell Way. After 1.4 miles turn left onto NE 170th Place, then turn right past Starbucks into the lower parking lot. From northwest of Lake Forest Park take I-5 south to exit 177, Lake Forest Park. Follow Ballinger Way east 5 miles to NE 175th St. Turn right into Town Center Shopping Center at Lake Forest Park. From northeast of Lake Forest Park, take Bothell Way south to Ballinger Way, turn right, then left into the Town Center at the light on NE 175th St. where you will arrive in the upper parking lot. South Center Campus (SCC) is located behind the Health Sciences Center. (see map at right). You can park right in front of the SCC in the 17-K garage, and go in the main entrance. Parking is $5.00. To get to the South Campus Center, head south on 15th Ave near the main UW campus, and turn left on Columbia Road. You will have to pay for parking at the Guard House. 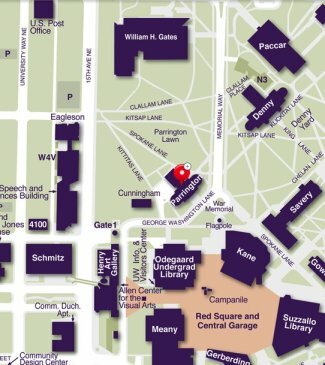 Campus Map. 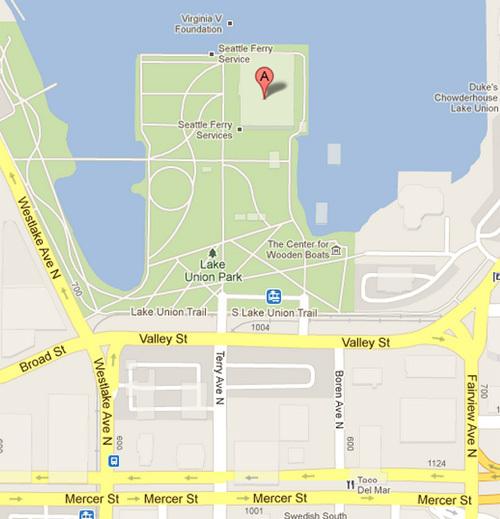 Option 1 (Underground Parking): From I-5 northbound, take the NE 45th Street exit (#169). Turn right onto NE 45th Street. Continue east about 1/4-mile to 15th Avenue NE and turn right. Head south on 15th Avenue for three blocks to NE 41st Street. Turn left at Gate #1 into the Central Plaza Garage. Stop at the gatehouse inside the garage for directions and a parking permit. Option 2: From I-5 northbound, take the NE 45th Street exit (#169). Turn right onto NE 45th Street. Continue east about 1/2-mile to 17th Avenue NE. Turn right onto the main campus. Stop at the gatehouse (Gate #2) for directions and a parking permit. Option 1 (Underground Parking): From I-5 southbound, take the NE 45th Street exit (#169). Turn left onto NE 45th Street. Continue east about 1/4-mile to 15th Avenue NE and turn right. Head south on 15th Avenue for three blocks to NE 41st Street. Turn left at Gate #1 into the Central Plaza Garage. Stop at the gatehouse inside the garage for directions and a parking permit. Option 2: From I-5 southbound, take the NE 45th Street exit (#169). Turn left onto NE 45th Street. Continue east about 1/2-mile to 17th Avenue NE. Turn right onto the main campus. Stop at the gatehouse (Gate #2) for directions and a parking permit. ADA Accessible spaces are available in the MOHAI parking lot just south of the building. No other parking is available on MOHAI property. For volunteers driving to campus, free parking will be available in the Broadway Garage. The garage entrance is on E. Columbia, off of Broadway. Please DO NOT park in the visitors lot at 12th & Marion. The botanical garden is also access by King County Metro bus.